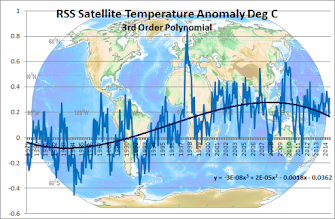 With all the self-congratulatory skeptical blogs detailing the end of the AGW hoax , it is sobering to search Google News for Global Warming on the current day and look at the results. Climate Change yields similar figures .At the height of Climategate and Pachauri affairs at least half of the news items were skeptical or grudgingly about skeptics views. In the space of the last few weeks that has all changed and you can sometimes get 50 items without a skeptical article. Unless this can be turned around our battle will be lost in cyberspace. The establishment and the MSM is rolling on with it's main body of science is solid and who cares about Climategate attitude and it seems that Climategate is no longer newsworthy. "If at first they don’t succeed then they will deny and lie again! And that goes for the second time, the third, the fourth …. You get it – as never-ending as Florida recounts; it goes on and on until responsible people step in and put a stop to it." In Australia, and probably more so in the US, the MSM has only given Climategate and the IPCC derailments, token mention. In the press, any treatment is usually buried in the middle of the paper in the opinion section and on TV, any little mention is usually presented with alarmist spin. It seems that the shamelessly politically biased (left) news media have succeeded in keeping the sordid facts out of proper public awareness. out to the greater public. 2. 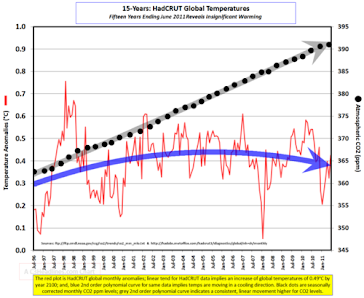 Something happens that forces the media to start reporting the problems with AGW science. 3. The scientific community starts weeding out the charlatans and the dodgy science. 4. The political product, Global Warming science and its resultant policies, become too much of a political liability and it gets quietly ushered to the side.